There are not many immortal directors that still inspirate and influence on the young ones. 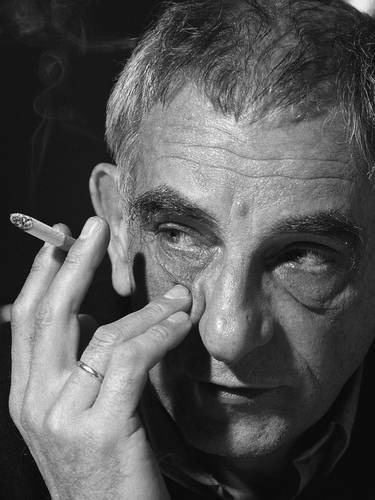 Polish director Krzysztof Kieślowski is one of them. Although he passed away ten years ago, the popularity of his movies is undeniable proof of his greatness. Even he was a Pole, he does not influence only Polish directors. His creations are being admired all over the world. Young Russian director – Irina Volkova – is one of the authors fascinated by Kieślowski works. How she looks at it? How it influences on her? What new can we find out about Kieślowki from her documentary? An interview with Marta Hryniak, a daughter of Kieślowski, the first ever interview in a history with any member of his family, is one of the most important motives in „My Kieslowski”. Born in 1977 in Russia; attending Graduate School of Scriptwriters and Film Directors in Moscow.